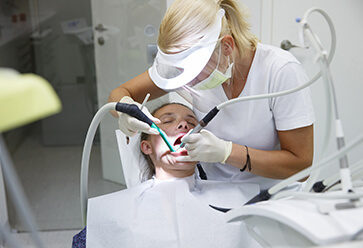 A deep and effective method for removing nerve infection root canal treatment involves the complete cleaning and disinfecting of a damaged or dead tooth nerve. Generally sustained through cracking or decay, if the tooth’s nerve dies it can cause rot to spread through both the tooth and the gums, causing damage and pain to the patient. Thanks to our training and skills we can effectively improve the health of your teeth with our comprehensive and thorough root canal treatments. At Karingal Drive Dental we are passionate about enhancing the health of our patient’s teeth through high-quality and personalised dentistry solutions. By offering a focused root canal treatment we allow Carrum Downs, Frankston, Skye and patients from surrounding suburbs to live without persistent tooth pain and discomfort. To learn more about our services please feel free to contact us today.